The research, by survey company YouGov Plc, was conducted online in late July, before the recent petrol price cuts. The sample size was 1955 adults. YouGov found 42 per cent of commuting workers in Britain would consider turning to pedal-power to travel to work, if they lived close enough. 36 per cent were prepared to travel anywhere between three to ten miles to cycle to work. The survey, to promote the Halfords Cycle2Work scheme, found that saving money on fuel was deemed to be the greatest benefit for switching to two wheels, with 89 per cent of respondents citing this would be the main reason to change. 69 percent said environmental concerns could make them switch. 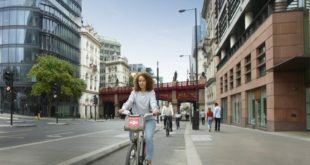 Employees aged between 18-24 years are most likely to start cycling to work, with 51 per cent saying that they would consider using bicycles in place of their cars. Paul Bullett from Halfords said: “With the credit crunch and rising fuel prices, it’s clear that the British workers are ready to get on their bikes. Whilst we accept that bikes aren’t feasible for every journey, if people living within as little as a five mile radius from work switched to pedal power not only would they see immediate savings on their fuel bills but they would also benefit from improved fitness too. 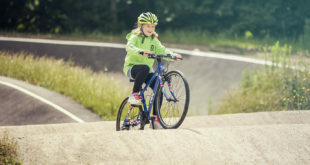 “The recent Olympic success of Nicole Cooke and Emma Pooley has certainly raised the profile and interest in cycling, and our survey revealed that six per cent of workers have recently switched to bikes to get to work." The growth in cycling to work is the reason for the soon to be published Bike to Work Book, co-authored by BikeBiz editor Carlton Reid. 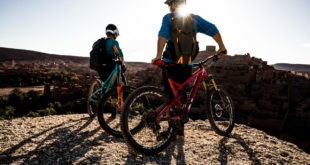 The Halfords survey reveals that 61 per cent of employees weren’t aware of the various national bike-buying salary-sacrifice schemes that offer the opportunity to purchase bikes at heavily discounted, tax-free rates. In the US, cycling to work has been booming for some months. Earlier today the US Federal Highway Administration said Americans drove 12.2 billion fewer miles in June than the same month a year earlier. The 4.7 percent decline, which came while ‘gas’ prices were peaking, was the biggest monthly driving drop in a downward trend that began in November. Overall, Americans drove 53.2 billion fewer miles November through June than they did over the same eight-month period a year earlier, according to the highway agency’s latest monthly report on driving. That’s a larger decline than the 49.3 billion fewer miles driven by Americans over the entire decade of the 1970s, a period marked by oil embargoes and gas lines, the agency said. Four in 10 said they have used public transportation, walked or ridden a bicycle more frequently since gas prices have risen, according to the AARP poll.